Jan Brueghel the Elder. 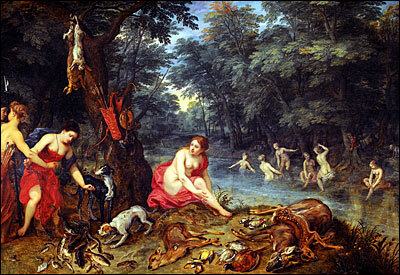 Diana and her Nymphs at their Bath, c1620. London: Lawrence & Bullen, 1896. 47-49. Created by Anniina Jokinenon January 10, 2000. Last updated July 13, 2014.